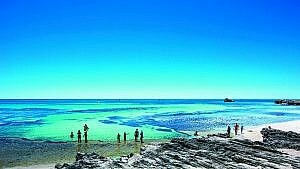 If you are visiting Western Australia and Perth, Rottnest Island is something you want to make space for in your busy itinerary. Located 19 km off Perth’s coastline, the island is a popular getaway spot for the locals thanks to its stunning nature and ambiance. No matter your interests or age, you can find something that fits you, why not try out adrenaline filled activities such as skydiving or if you prefer to have your feet on the ground, travel back in history and learn about the controversial and eventful history of the island. One of the main tourist attractions on Rottnest is the quokka. Described as “the worlds happiest animal”, the quokka has greyish fur, brown face, small rounded ears black eyes and a black nose paired with brown paws and tail and the size of a small wallaby. It is actually thanks to the quokka that the island got its name, – When the Dutch explorer Willem de Vlamingh discovered the island in 1696 he named it ‘Rotte Nest’ (‘rats’ nest’), mistaking the quokkas on the island for being giant rats. Today, quokkas are classed as a vulnerable species and are protected by law. However, on the island, there are about 10 000–12 000 quokkas and you can basically see them everywhere! Except for getting with the cute quokkas of the island, you might wonder what a trip to the island would look like? Why not let us give you an example. The best way to discover a new city is often by foot or by public transport so we understand if you don’t have a car! That is why we want to make it easy for you. 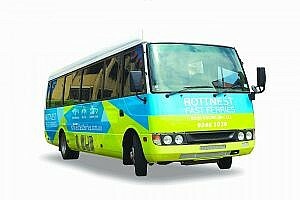 With us, you can book a free Courtesy Pick Up bus and choose between 80 different locations around the Perth CBD, Northbridge or Scarborough to be picked up from. The bus will then take you straight to the ferry terminal, saving you the trouble of figuring out how to get to the ferry. If you already have a car? You can be happy to know that we have free parking at our terminal in Hillary’s Boat Harbour. Do you have some time to kill before jumping on the ferry? Get a takeaway coffee at the Sorrento Quay Boardwalk and stroll along the boardwalk or make yourself comfortable in a chair, overlooking Hillary’s Harbour. 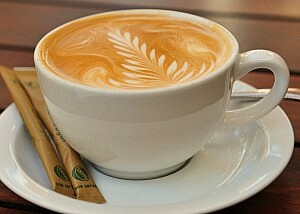 Most of the cafés open at 6 am so you can almost always stop by for an early morning coffee to get your day started. The coast of Perth and Rottnest Island is separated by 19 km of ocean. What is better than traveling the 19 kilometres by boat? The journey will take approximately 40 minutes on one of our air-conditioned ferries that leave daily from Hillary’s Boat Harbour. And don’t worry if you missed your morning coffee break in Hillary’s, we serve coffee and muffins on board! Enjoy flying more than being on the water? Well, there is an alternative for you too. You can get to the island in a helicopter with Rotorvation Helicopters! A must for the more adventurous soul, you can experience fantastic views of the historic Fremantle, the southern beaches and Rottnest itself from above. Helicopter rides to the island are available seven days a week and include return flight. 9.10 am – 11 am: Get the activities started! 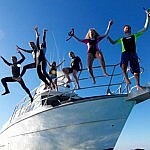 There is a range of activities you can immerse yourself in while you are at the island. From skydiving, snorkelling and fun at the amusement park to facial treatments at the spa a visit to the museum, there is something for the relaxed island tourist as well as for the adventurous soul. With no cars allowed on the island, getting around by bike is the absolute best option to discover everything this paradise island has to offer. We suggest you hire a bike with your ticket before you leave on the ferry for Rottnest. This way you avoid to queue up for the bike hire on the island and spending unnecessary time waiting around. Just jump off the ferry, take your bike and take off! But a heads up, the wildlife on the island is unique and can pop up when you least expect it so please take care when you are riding around the island. The coast of Australia has an incredible marine life and Rottnest Island is no exception. The island is home to stunning coral reef and tropical fish. With 63 beaches along the coast and 20 bays, you can find sheltered swimming spots and underwater snorkelling trails. Some of the marine wild life you can encounter include sea cucumber, turtles, hermit crabs, and sea lions! No wonder Rottnest Island has become of Perth’s favourite snorkelling spots. You can easily hire snorkelling gear through Rottnest Fast Ferries and collect it at Hillary’s Boat Harbour before leaving for Rottnest. If you are considering yourself an adrenaline junkie, maybe skydiving is right up your alley? At Rottnest Island, you can go tandem skydiving on 10,000ft, 14,000ft or 15,000ft with Sky Dive Geronimo. And where do you land? Directly on the beach of course! If you are curious to see how it feels to fall free for up to 1 minute at up to 200 km/hour, skydiving at Rottnest is something for you! After an early morning, a ferry ride followed by activities, you might be in the mood for a light snack? A visit to Rottnest is not complete without a visit to the Rottnest Bakery! 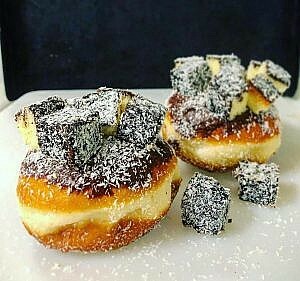 Choose between freshly baked cream buns, vanilla slices, jam donuts and much more. If you are in the mood for something savoury, the pie and sausage roll is a must! The bakery is open 7 am to 5 pm, located on Maley Street. You have boosted up your energy reserves and it is time to continue your trip to the island. After a morning of biking around the island, finding the best snorkelling places, you might be in the mood for more mellow activities? Want to pamper yourself? Visit Karma Spa located in the Rottnest Lodge and get ready to get pampered. You can choose from an extensive menu of head-to-toe treatments such as the Himalayan Salt Stone back, neck and shoulder massage, the Sleep Ceremony Ritual or a Happy Feet Foot Therapy? Open for a game of mini-golf`? Come down to the Family Fun Park and Mini golf on 1 Brand way to play some classic arcade games or mini golf. At Family Fun Park and Mini Golf you can play some classic games like Pac-man, Space invaders and Air hockey or you can try out a game of giant chess! The visit to the bakery might have been enough to satisfy your hunger but if not, you should drop into Riva Restaurant. Located in the Rottnest Lodge on Kitson Street, you can order a wood-fired pizza or a three-course dish overlooking the pool or local atrium. The restaurant use local produce in all their dishes and with a carefully curated wine list, your lunch is sorted. Rottnest Island has an interesting history and we recommend you to pay a visit to the local museum. Housed in the original old mill and haystore, it was built by Aboriginal prisoners in 1857. Here you can learn about the island’s past as an indigenous prison, European settlement, marine wrecks and its role during both WW1 and WW2. The museum is run by volunteers and entry is by a gold coin donation. After a long day filled by activities and sun, what is better than a visit to a traditional Australian sports bar? Gov’s Bar is located in the Rottnest Lodge on Kitson Street (close to Riva Restaurant) and is open 12 am to 12 pm. You can try a wide range of local and international beers and ciders and if you are getting hungry, ask for the menu and choose between some great pub meals! A sun kissed day has come to its end and it is time to return to Perth. The last ferry leaves Rottnest at 4.30 pm every day except on Fridays when it leaves at 7 pm. The return to Hillary’s is about 40 minutes and, on your return, we hope that you will have enjoyed your day at one of Western Australia’s paradise island! Rottnest can offer something for everybody! 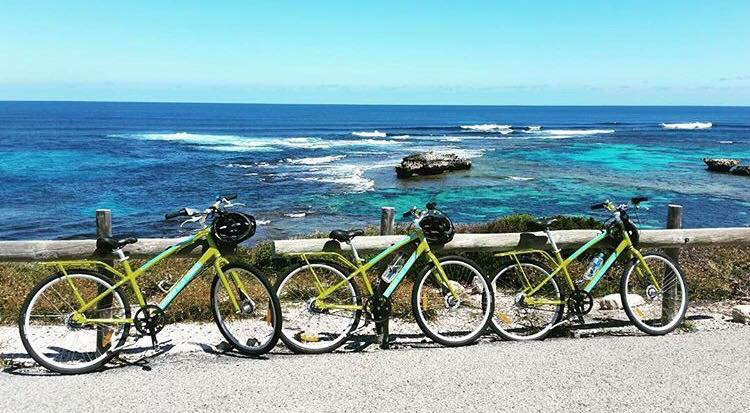 Whether you’d like to jump out from a helicopter, going for a bike ride or simply enjoy a swim in turquoise water, you can rest assured that a day spent at Rottnest Island is a day well spent.